F**k. You seriously ruin every skit. 😐 Ban this loser, Nik’. Now, now… let’s play nice. 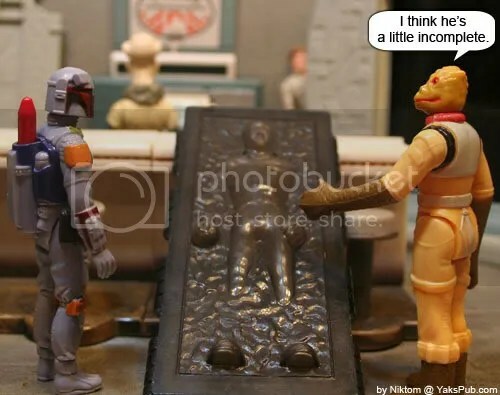 Hey fett dude he moved the figure thats how the han got there. LMAO!! That one made me laugh out loud!!! 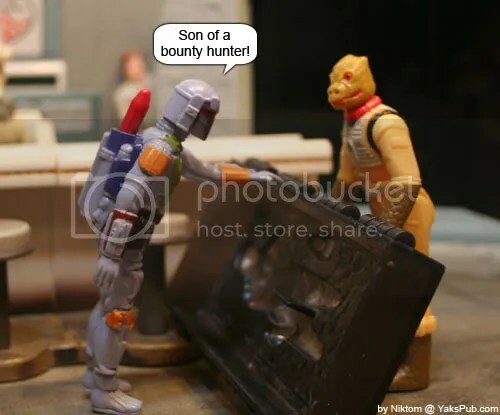 Man, I need a vintage Bossk for when the “MAG” return. Hopefully he won’t be too hard and expensive to get.